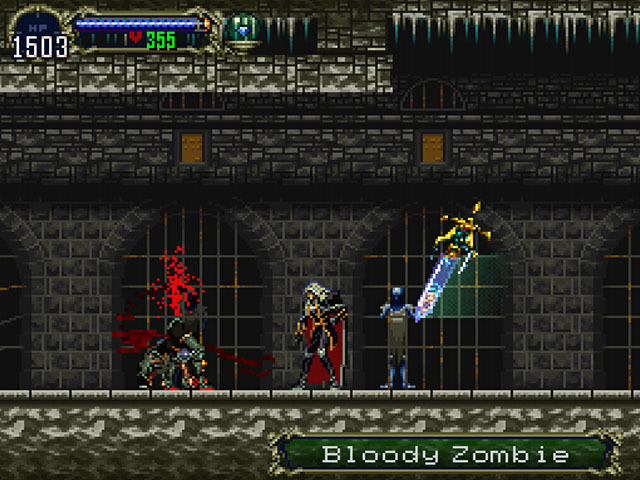 OverviewCastlevania: Symphony of the Night is a 2D action-adventure platformer known for introducing a new style of open-ended gameplay mixed with RPG-like mechanics. 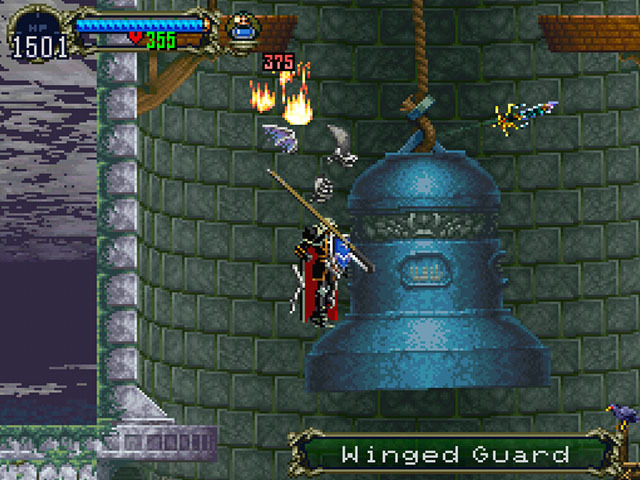 Castlevania Symphony of the Night (or simply SOTN) is a 2D action RPG for the PSX. You control Alucard, the son of Dracula, who has awoke from a long sleep after sensing Dracula's power return to the land. He locates Dracula's castle and enters to defeat his father and bring peace once again. 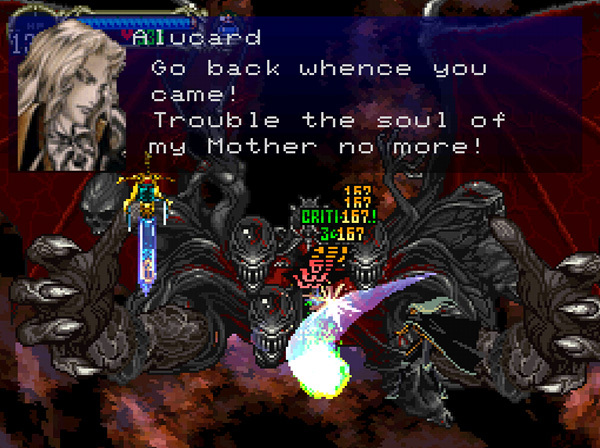 Alucard has a lot of bad guys to go through to get to his father, but no matter! 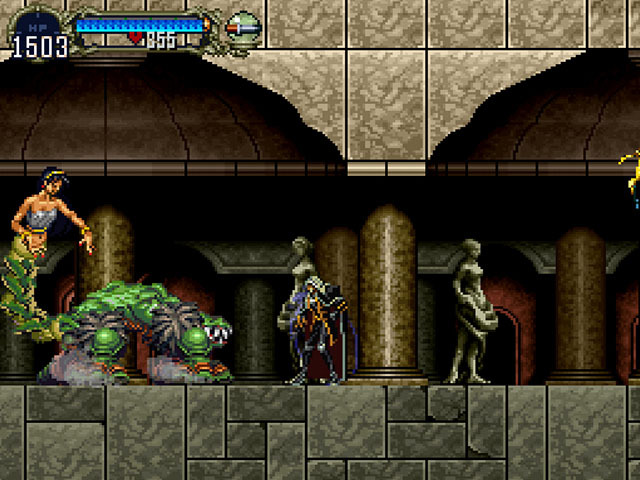 Dracula's castle is full of powerful magical weapons and armor to help him on his way to the final battle. Alucard also finds that he is not alone in his quest as he meets a mysterious girl named Maria who is searching for her friend Richter Belmont. 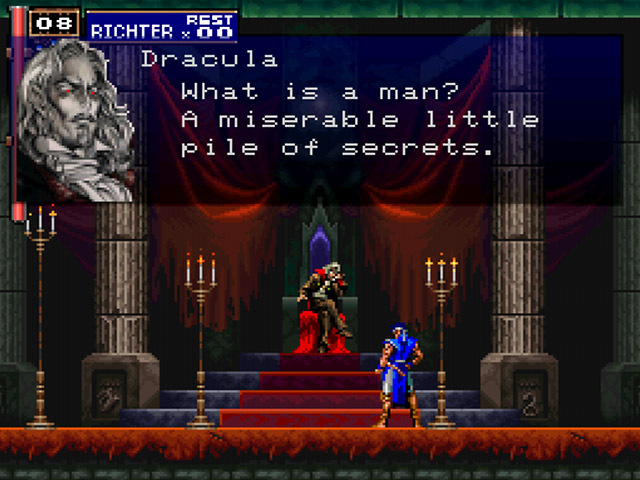 Maria tells Alucard that she believes that Richter is there inside of Dracula's castle after Alucard informs her that he is there to put an end to the evil inside the castle. Will Maria find Richter and will Alucard be able to defeat his father and end the reign of darkness once more? 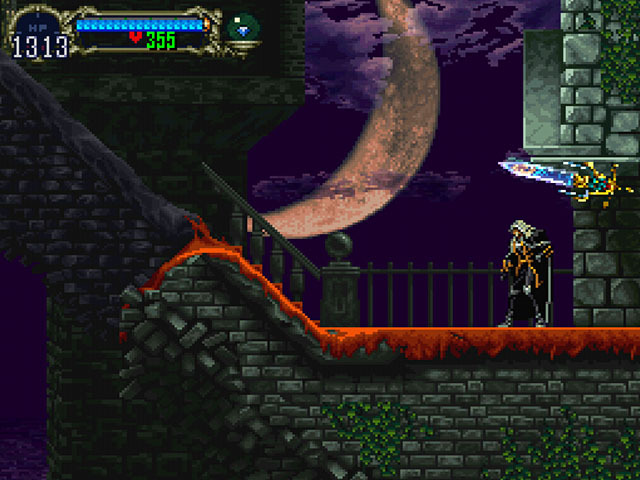 Dracula beckons... Castlevania SOTN IS in the opinion of many gamers, the GREATEST 2-D action RPG ever created in video game history! This game is the basis of many modern hand-held console versions of Castlevania (as well as other "MetroidVania" style games) and it is easy to see why. Great graphics, lots of bad guys, lots of cool loot and power ups, simplistic but good story line, unmatched game play, and a musical score that literally makes you feel like you are inside the castle yourself... What are you waiting for?? Download this game and experience something that reinvented an entire genre of gaming goodness!!! 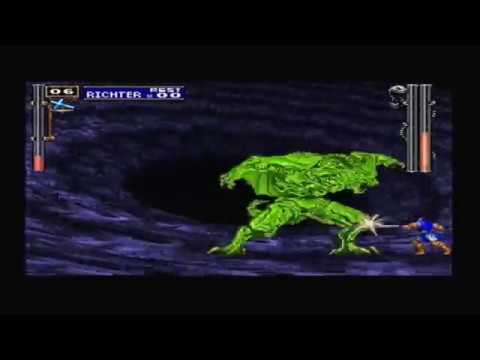 Castlevania Symphony of the Night takes the old gameplay formal of the Castlevania games and adds it up with the graphical power of the ps1 and some dash of RPG elements and delivers and timeless classic. So, get ready to whip up Dracula. 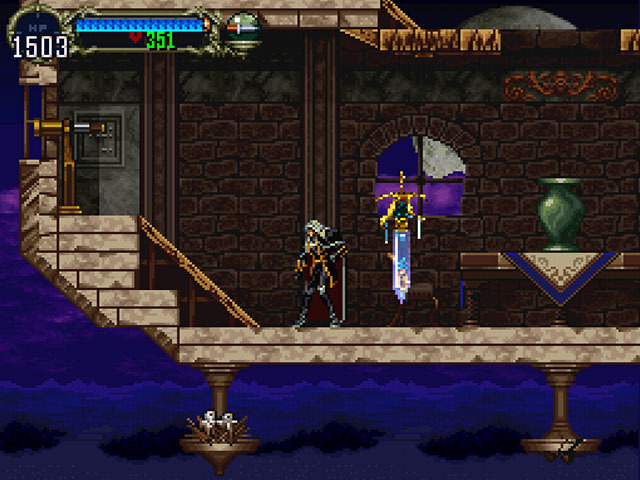 Castlevania: Symphony of the Night was the very first Castlevania game on playstation. The graphics are great, but the voice acting is a little cheesy. Don't get me wrong, though, the game is great, though, and combines the features of other genres, such as rpg,(equipment system and experience/level up systems, too) and it plays almost like super metriod, so much that some fans call it "Metriod-vania"
Emo kid with daddy issues rushes to burn down the family home, but is confronted by the new owner, a vet suffering from a psychotic break. Featuring a diverse score, colorful character designs, and some of the worst voice acting since Resident Evil, Castlevania: Symphony of the Night follows Alucard, son of the evil Count Dracula, as he attempts to end the centuries of death and destruction that follows his bloodline. 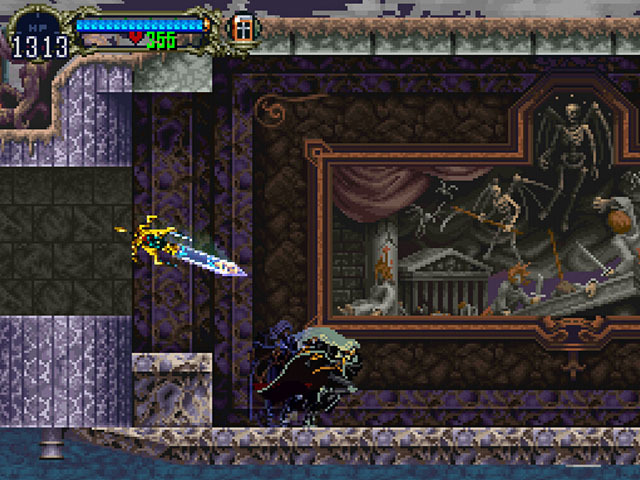 I never liked Metroid games but loved Castlevania Symphony of The Night specially because Alucard only use swords and short range weapons made the gameplay more natural for me, a fan of Strider and Shinobi. Still not the best Castlevania game ( Super Castlevania IV is the 1st ) but this one deserves a 2nd place, but is still a masterpiece of PSX. Read all 8 reviews for Castlevania - Symphony of the Night (E) Submit your description for this title! Now you can add videos, screenshots, or other images (cover scans, disc scans, etc.) 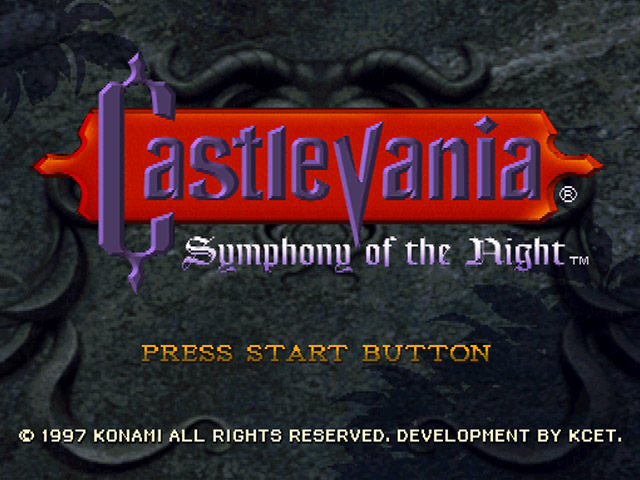 for Castlevania - Symphony of the Night (E) to Emuparadise. Do it now!